Using yeast as a model, a team of Spanish researchers has made predictions about how individuals differ from one another by analysing genome sequences. Writing in the journal Nature Genetics, the researchers emphasise that their findings have important implications for the future of personalised medicine. 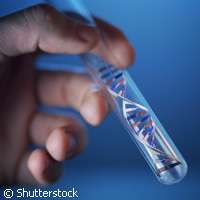 If scientists can better understand which genes are important to a particular process, it is easier to make accurate predictions about an individual's biological make-up. We are all made up of over 20,000 genes, and in each of us, several thousand of these genes carry mutations. Scientists don't yet know what happens when most human genes are altered, which means they can't yet make any predictions about human health based on genome sequence. In practice, this means that for most common human diseases, which genes are important is something that remains unknown. Consequently, a scientist can't tell whether an individual will develop a condition based on his or her DNA sequence. To confront this problem head on and assess whether it is possible to make useful predictions about the biology of individuals, the Spanish researchers carried out tests on budding yeast, a species commonly studied as a 'model organism' by researchers the world over. The team evaluated predictions about the phenotypes of 19 varieties of yeast. The first challenge the Spanish researchers faced was determining which of the approximately 3,000 mutated genes in each organism are actually altered. They then needed to predict whether each individual was likely to be abnormal for a particular phenotype such as growth in a different environmental condition. The study results show that there are at least two necessary conditions for such predictions to be made: good knowledge about which genes are important for a phenotype, and experiments performed on individuals under controlled conditions to evaluate how accurate the predictions are. As this remains tricky in humans due to the many different variables involved, and the fact that most genes that affect particular phenotypes and diseases remain unidentified, the team stress the importance of carrying out further studies on simple model organisms like budding yeast.